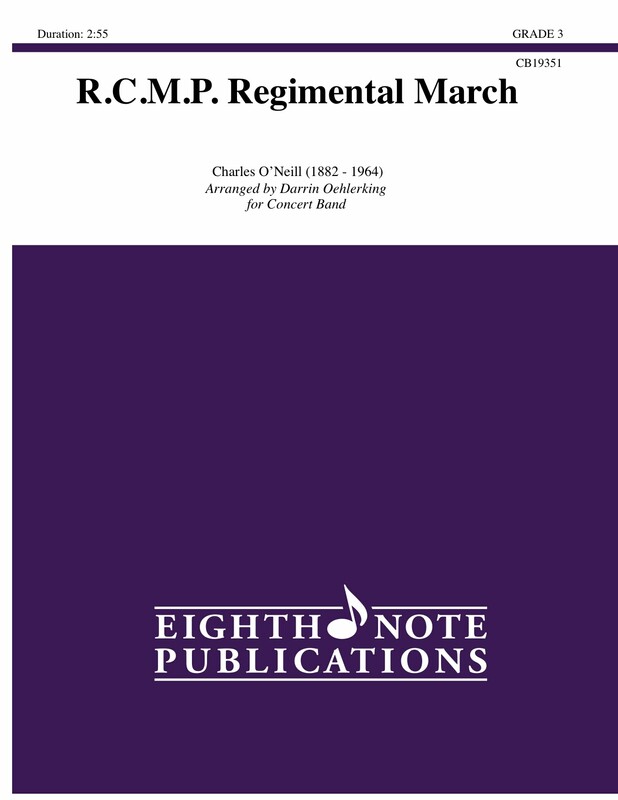 In 1952, the Royal Canadian Mounted Police Regimental March became the official march of Canada s national police force. It is still used to this day to musically represent the RCMP at official functions and ceremonies. This is an important and significant historical piece of music which has been carefully arranged for modern wind band.